I have been eagerly anticipating sharing this blog post for quite some time now! A few weeks ago, we were wedding guests for the first time in over a year. Stephen's childhood friend was getting married in San Diego and so we made a little weekend getaway trip out of it. Over the last six months, my passion for shooting with medium format film has grown and I thought this would be the perfect trip to further experiment with it. We decided that with our short time of exploring an area, we would go to all the iconic San Diego locations and I would ONLY use my medium format film camera. This was a fun creative challenge for me and I was anxious to see if my love for a film would translate into pretty photos. So after sending in my scans and getting them back from the lab, I have indeed fallen in love with film all over again. I don't want to get too technical about why I love this medium today, but don't worry, I'll be sharing more about this soon. I will say now though, that shooting film really makes you slow down and be more intentional before clicking the shutter. It makes me savor each moment and photo that I'm taking in a way that digital can't compare. I want to be a photographer who captures real authentic moments and sometimes you have to wait and be patient to capture that. I really think shooting more film, especially for our travels will ultimately make me a better photographer! 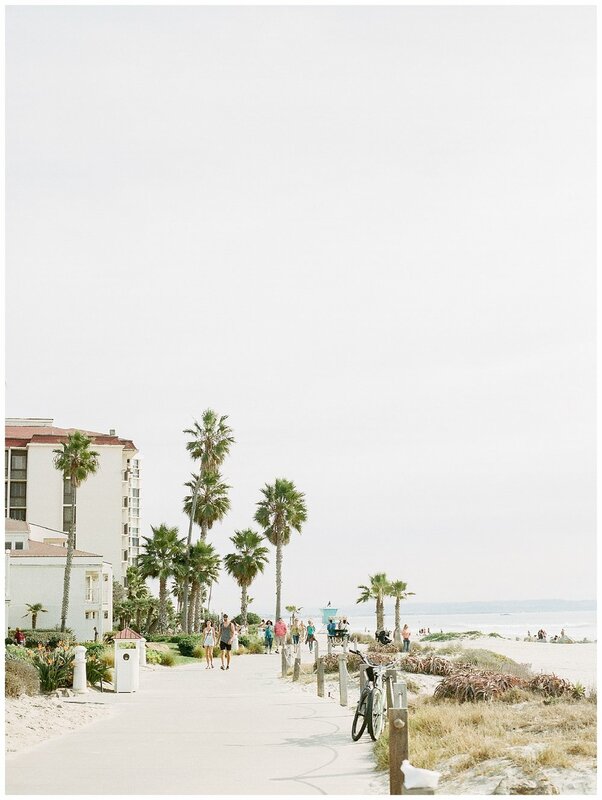 I'm excited to share a little glimpse into our weekend getaway in San Diego. Enjoy!